Cream recommended for special daily care of combination skin - oily in T zone (forehead, nose, chin) and prone to over dryness on cheeks. Formula of the cream based on innovative Matt Active™ complex that intelligently regulates level of skin greasiness, ensuring instant mattifying effect in T zone, at the same time perfectly moisturises side part of facial skin not causing over dryness. Maintains water in deepest layers of epidermis and restrains its evaporation from skin surface. Evens out imperfections thus ensuring ideal smoothness. Stimulate natural processes of regeneration, supply essential energy. Induces natural renewal of cells and is the real „elixir of youth”. Formula inspired by dermatological technique, enabling to achieve the effect of professional treatment! 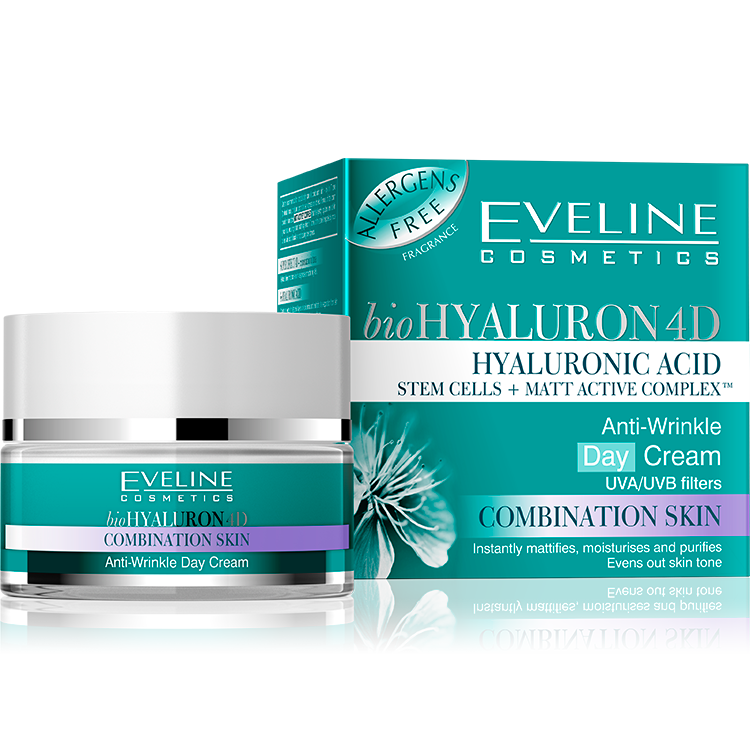 Increase dermis fibroblasts production, stimulating collagen, elastin and hyaluronic acid synthesis.